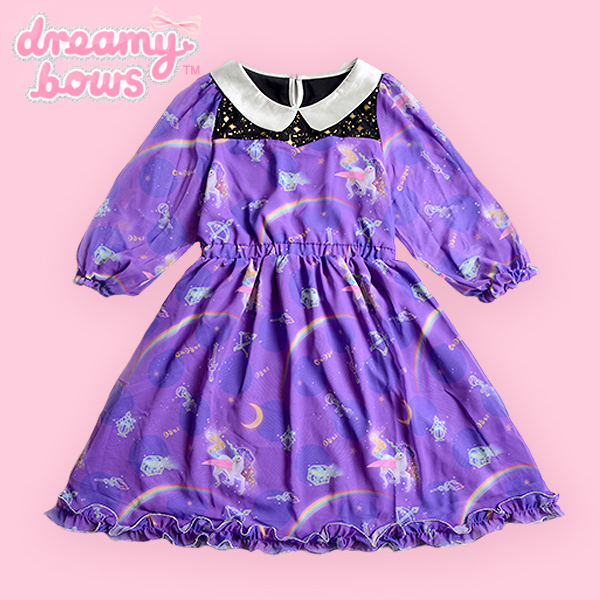 A beautiful and unique babydoll dress, perfect for layering or worn on its own. 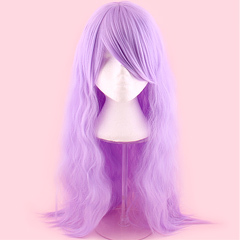 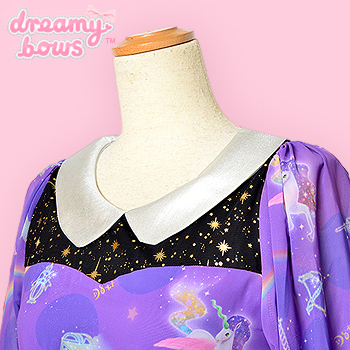 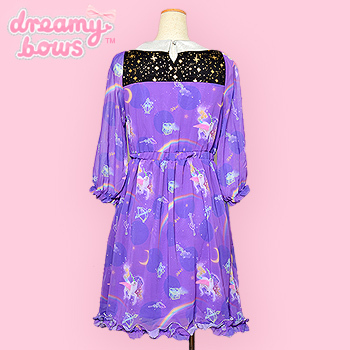 Unleash the magical girl within you with this dress! 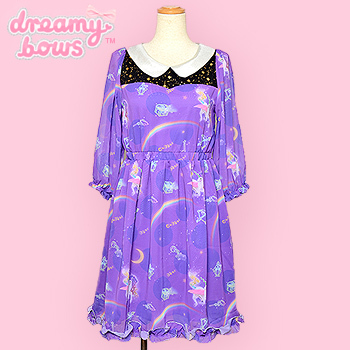 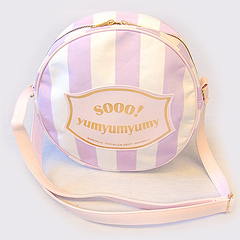 This wonderfully dreamy one piece dress is one of 6%DOKIDOKI's more gorgeous and feminine prints. 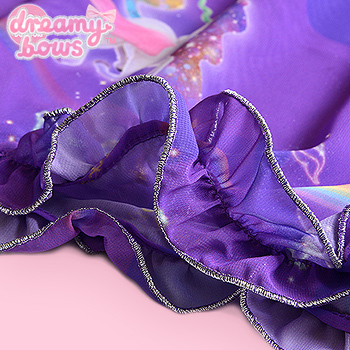 The print features night time motifs such as stars and moons sitting amongst magical unicorns, rainbows and constellations. 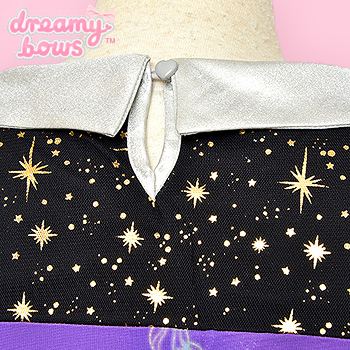 The collar is made with a metallic material and the neckline is decorated with shiny stars on a black netted material. 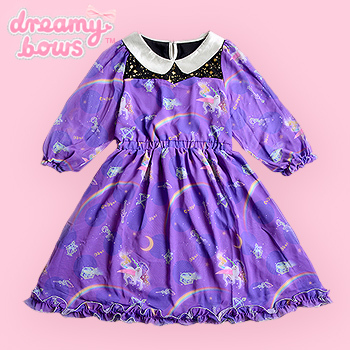 The waist is elasticated for a cinched waist look and to accommodate bigger sizes, the dress is made of a light chiffon material with three quarter length sleeves.